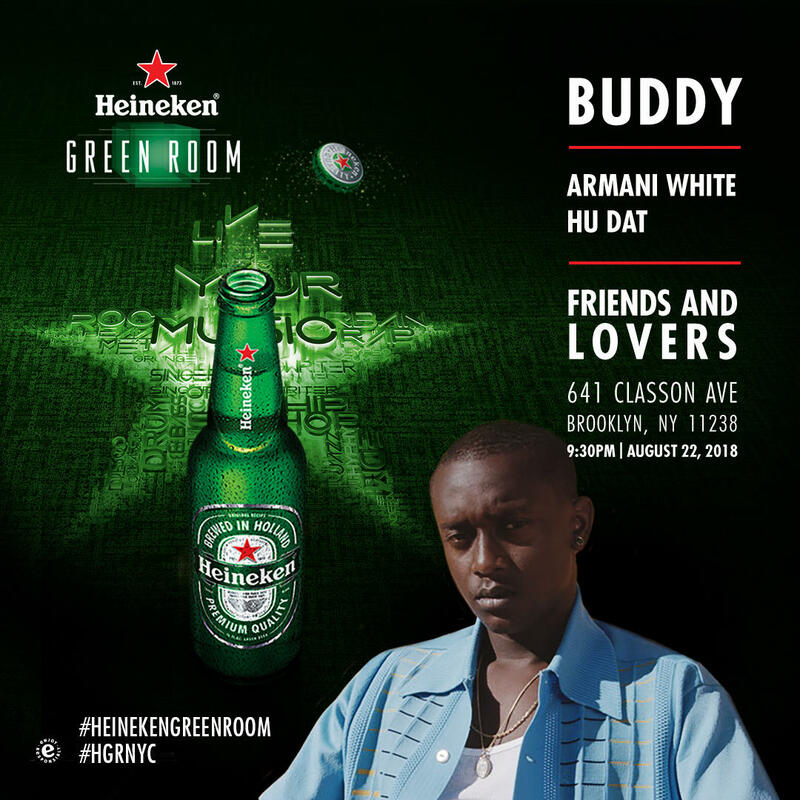 Are you ready for August’s Heineken Green Room? Fresh off the release of his new album, Harlan and Alondra, Compton rapper Buddy is a unique voice among today’s hip hop market, and has been making music since his early teens. Over the years, his sound has been cultivated by working with fellow artists like Pharrell Williams, Kendrick Lamar, and Kaytranada. Buddy recently released his new single “Trippin,” featuring Khalid, and has been featured in Complex, The Fader, XXL Magazine and High Snobiety. Join us early for Armani White and Hu Dat. Remember, this event is open ONLY to Heineken Green Room Insiders. Insiders must RSVP by August 20th at 5pm.